Three September debates have shaken-up the race for the Republican presidential nomination. Herman Cain has jumped into the top tier. 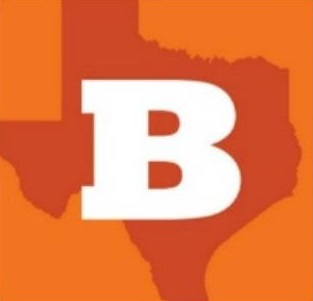 Rick Perry’s stumbled. Mitt Romney's holding steady. And Michele Bachmann is hitting bottom. That’s according to a Fox News poll released Wednesday. The new poll found Cain’s support has nearly tripled among GOP primary voters to 17 percent. That’s up from 6 percent before this month’s debates, and puts him in what is essentially a three-way tie with Perry and Romney. Here's a link to the full survey report. Another intriguing question the pollsters asked was which candidate voters felt they had the most in common with, and Perry (17%) and Cain (14%) topped that list. 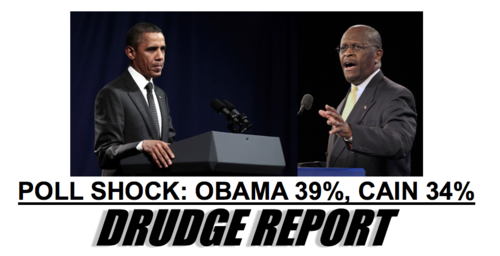 Despite the fact that Cain is new on the national stage, he is already polling only 5 points away from Obama. UPDATE: Stacy McCain posted a link to this poll and noted that "this is the first published poll based on a survey completely after Cain won Saturday’s straw poll." Cool. This is telling in a number of ways. First, Perry really has had as bad a week as many of us have been saying and he could not apologize fast enough for that “heartless” remark. He finally did today. Second, on the national scene these debates seem to matter. Third, Herman’s message is really resonating. But most significantly for me is just how stagnant Mitt Romney is. Even more so, when asked who the voters have most in common with, Rick Perry leads the rest of the field with 17% and Herman is in second place at 14%. Mitt Romney? Only 12% of the voters think they have something in common with him. This again suggests that primary voters are trying desperately to find an alternative to Mitt Romney and Perry’s performance over the past few weeks, culminating in that debate, has given folks cold feet. GREAT NEWS! JOIN THE CAIN TRAIN! I love Cain. He's getting traction. Were he in a debate with the "community organizer," Cain would blow him back to Chicago, back into the pews nodding at the Rev. Jeremiah Wright. Let us pray for this.